This is one of the most emblematic places in Vila Nova de Milfontes. Milfontes lighthouse is located at the end of the Marginal Avenue. From this site you can enjoy a panoramic view that covers Mira Mouth, Furnas beach, the imponent Atlantic and of course, Vila Nova de Milfontes. Walk from the town to Vila Nova de Milfontes lighthouse is a long tradition rooted in the local population and is certainly a small tour that is worth undertake. If you start the tour from the historic town center you can get to know much of its historic heritage and landscape: Nossa Senhora da Graça Church, Barbican and São Clemente Fort and finally Marginal Avenue, which offers fantastic insights into Mira Mouth. The River Mira Mouth is constantly changing and a watchful eye allows you to see all the little differences that arise overnight, transmitting more beauty to a landscape that is always fascinating. In the viewpoint of the Vila Nova de Milfontes Lighthouse was erected, in 2009, the statue “Archangel” a structure that intend to transmit an ecological message and was awarded with the “Utopia” award. 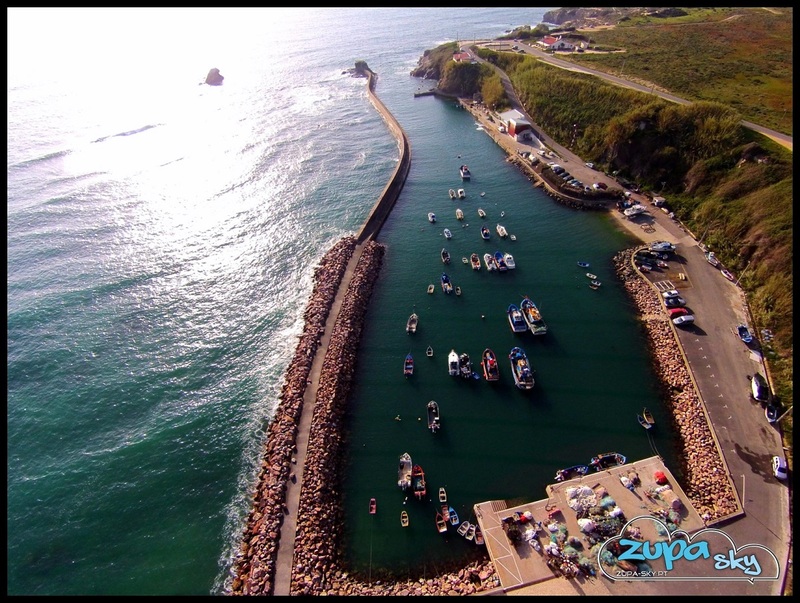 Aerial photography courtesy of Zupa Sky. 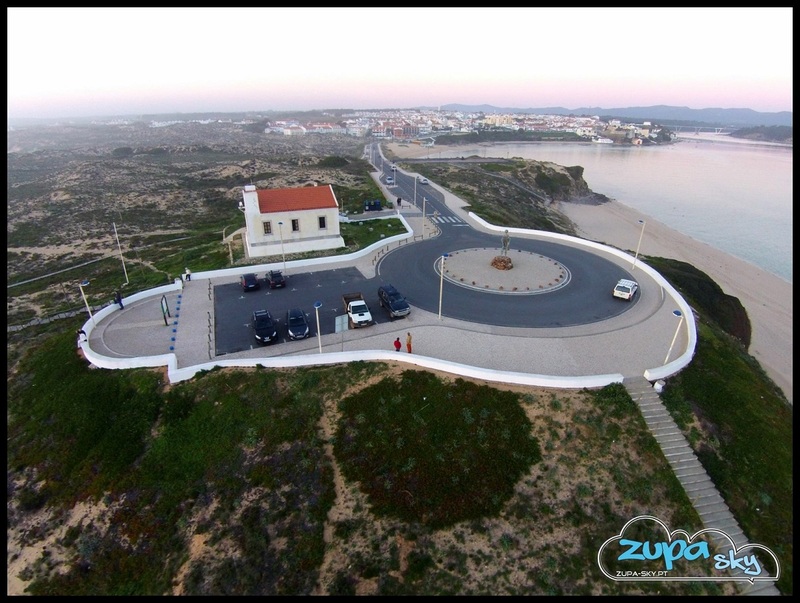 Zupa Sky is a company specialized in aerial photography using drones. Nossa Senhora da Graça Church, also known as the Mother Church, dates back to the XVI century. It belonged to the Order of Saint James of the Sword, which can be attested by the cross engraved near the main entrance. However, there are some people that say that the original church is even older, possibly of the XV century, the date of the holy water font which nowadays is still a part of Nossa Senhora da Graça Church asset. With a turbulent past, this Church was partially destroyed several times either by natural phenomena such as the 1531 earthquakes or by corsair attacks. It is necessary to emphasize, among the changes over the centuries, the construction of the tower bell, during the XIX century. In 1959, Vila Nova de Milfontes Church suffered it last major intervention, in order to modernize their facilities. However, Nossa Senhora da Graça Church retains some of its old features, such as the Main Altar Arc and its Facade. Annually, during August, Nossa Senhora da Graça Church is the starting point of the fluvial procession, which carries the images of St. Sebastian and Our Lady of Grace trough Mira Mouth waters. Porto das Barcas, also known as “Portinho do Canal” is Vila Nova de Milfontes fishing port. For many locals and visitors, this is one of the sites that best preserves the local soul and authenticity. So, if you intend to have a direct contact with the Alentejo coast essence is imperative that you visit this site. Despite its peculiar aspect, Porto das Barcas remains the largest fishing port in Odemira municipality and plays an important role in the locality economic promotion. On site, in addition of the two restaurants that offer true gastronomic delights, there is a viewpoint that provides the contemplation of the ocean. There are those who swear that Portinho do Canal sunset is unrivaled in Portugal. There is something in the atmosphere of this place that combines perfectly with the afternoon twilight, offering you an experience that really deserves to be lived. When you visit Vila Nova de Milfontes don’t hesitate to visit this unique locality corner. Franquia beach is the most widely known beach in Vila Nova de Milfontes. Its privilege location at Mira Mouth guarantees you superb conditions for practicing water sports, such as canoeing and windsurfing. This beach not only offers all the conditions to enjoy a great beach day, but is also the perfect stage to watch the immense beauty of Mira Mouth and its surroundings. 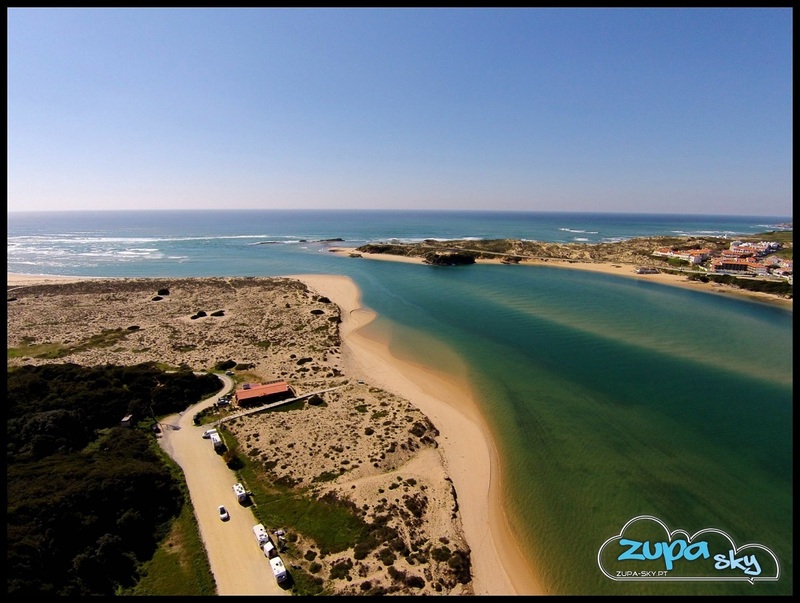 Its short distance from Vila Nova de Milfontes center, its easy access and its waters tranquility, make it very popular among families with children. From Franquia beach is possible to observe São Clemente Fort, formerly Vila Nova de Milfontes guardian, and Mira River entry and across the river, Furnas beach. This beach has a beach facility, Quebramar Beach Bar, which at night also functions as a bar, organizing some of Milfontes most famous parties. So, Franquia beach is not only a place you must visit during the day, but also a spot you must visit during night. Near Franquia beach is possible to find a sandy zone, specially prepared to practice beach soccer and beach volleyball. In this beach, you can also rent a canoe, to know better the mira river waters. This beach has the following support structures: bathrooms, parking, showers, lounger and sunshades rental. During the summer tends to be difficult parking, so vacationers should choose whenever is possible to walk to the beach. This beach has a lifeguard during the summer and it has a Red Cross Service Station traditionally. São Clemente Fort (patron of maritime causes), also known as Milfontes Castle, was built between 1509 and 1602. Its construction was ordered by King Philip II of Portugal in order to protect the location of the constant attacks from the moorish pirates – during the second half of the fifteenth century, Milfontes was constantly attacked by pirates from North Africa. Like other military buildings of the same period, São Clemente Fort is a project of an Italian engineer, Alexandre Massaii. This architect was also responsible for building the Fortress of Pessegueiro Island and the reconstruction of Sines Castle. After losing military and strategic importance, São Clemente Fort was put up for sale at a public auction and was purchased in 1903 by Valerius Stinger, an infantry captain. Six years later changed hands again, becoming the property of Francisco de Jesus Goncalves. 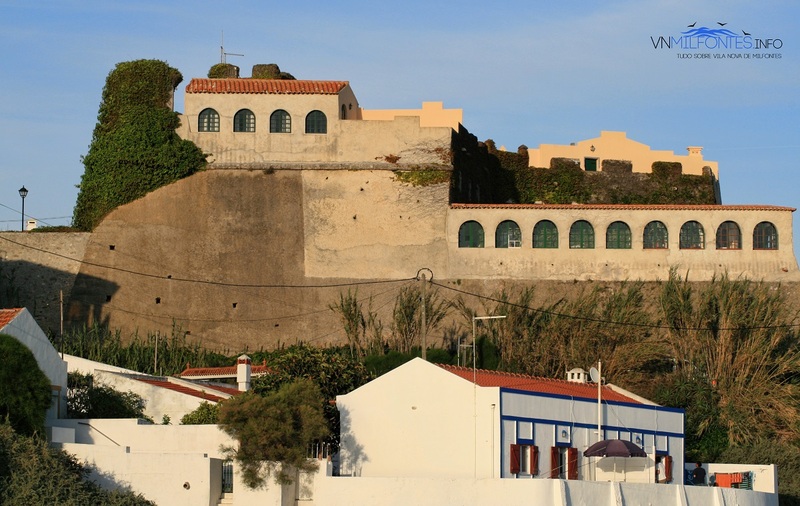 For four decades, its new owners neglected the conservation of space, until in 1940 the fort was acquired by Dom Luís Manuel de Castro e Almeida. In Don Luis possession, São Clemente Fort was then restored and became a rural tourism space sui generis. In practice, the fort was one of the first spaces for habitation tourism across the country. Popularly known as “Milfontes Castle”, the building was classified as a Public Interest Real State by Decree 95/78, published on September 12, 1978. With the Southwest Alentejo and Vicentine Coast Natural Park creation, saw again its importance recognized, being considered Cultural Heritage. Besides its historical importance, the building stands out for its prime location that offers a stunning view over the Mira mouth. Despite its importance, the São Clemente Fort is currently for sale. If you search in the Internet for “Milfontes dock” you will most certainly find pictures of the old dock. With all its cracks and its antiquated look, the old dock is missed by all who grew diving there, or those who have spent hours fishing there. 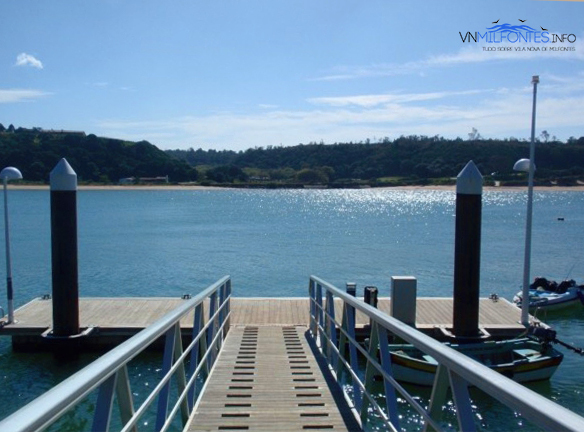 But like everything in life, it`s age dictated that the time had come to say goodbye to the old dock, and today, Vila Nova de Milfontes has a new dock. May not have the charisma of his predecessor and may not be the guardian of the memories of thousands of people, but nobody can deny that it is functional and modern. The strength of the new Milfontes dock is its location. Looking to the left, our eyes see all the Mira River`s blue, with the Bridge highlighted in skyline. To the right, our eyes can follow the Mira course entering the sea. A few meters away you can find the restaurant “A Fateixa”, one of the most renowned restaurants in Vila Nova de Milfontes regarding to grilled fish and other delights from the seabed preparation. Although it isn`t one of the most obvious places when you think about the most important sights of the city, the truth is that the Milfontes dock should be part of the itinerary of any visitor. 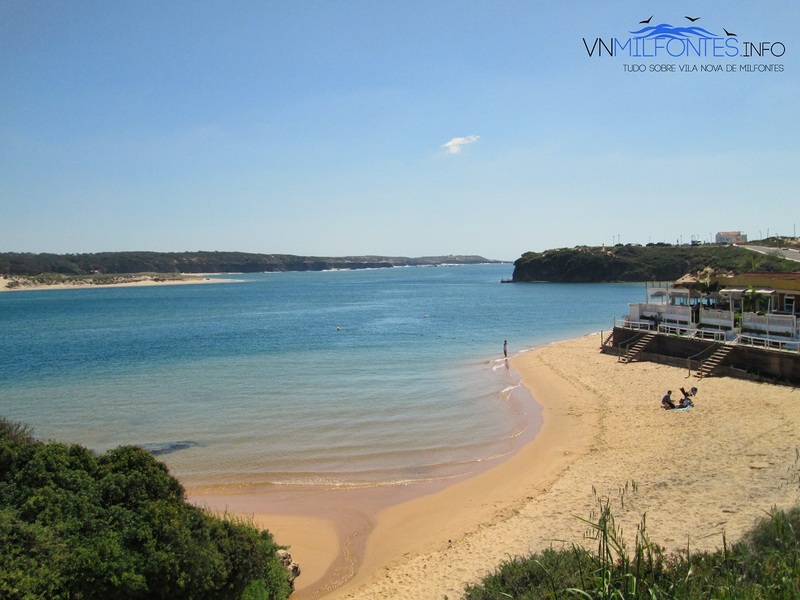 Five kilometers north of Vila Nova de Milfontes you will find a natural wonder called Malhão beach. This beach stands out for its vast sands, that allows you to relax far away from the crowds that invade other beaches in the country. The access to this beach is by dirt tracks, which with the lack of signalling can transform your discovery on a great adventure. Some people complain of these accesses, but for others the difficulty in getting there is part of the charm of the beach Malhão. The size of the beach Malhão is such that even in the height of summer there is always room to spread your towel with tranquillity. Its waves are great for surfing and bodyboarding, and it is common to see an significant number of boards in the water. It should be noted that surf schools in Vila Nova de Milfontes elect this beach as one of their “classrooms” par excellence, so if you want to learn to surf, this may be the ideal beach. We can consider that Malhão beach is divided into three parts. The northern part consists of a large sandy area with dunes of considerable dimensions. In this area is tolerated the practice of nudism. In the southern part it is also found a sandy area with considerable dimensions, delimited by a rocky hillside. Finally, between the northern part and the southern part we find small beaches, more sheltered from the wind trough rock formations. Although it is considered a wild beach, the beach Malhão is supervised during the summer period and has a first aid station of the lifeguard team responsibility present on site. On the River Mira left bank, near Vila Nova de Milfontes you will find Furnas beach. From Milfontes, the access to this beach is a little more than 5 minutes, by simply cross over the bridge over Mira and move ahead until you find the respective signal, and then turning right. When you reach the place, parking tends to be easy, and there are several demarcated parking areas. Furnas beach River offers excellent conditions and unique surroundings hard to beat. With a river front and a sea front, this beach offers the best of both worlds. All of this region inserted in the Southwest Alentejo and Vicentine Coast Natural Park provides a great natural beauty. Furnas Beach River is well appreciated by families with children. Its calm waters allow a quietness difficult to match in a sea beach. 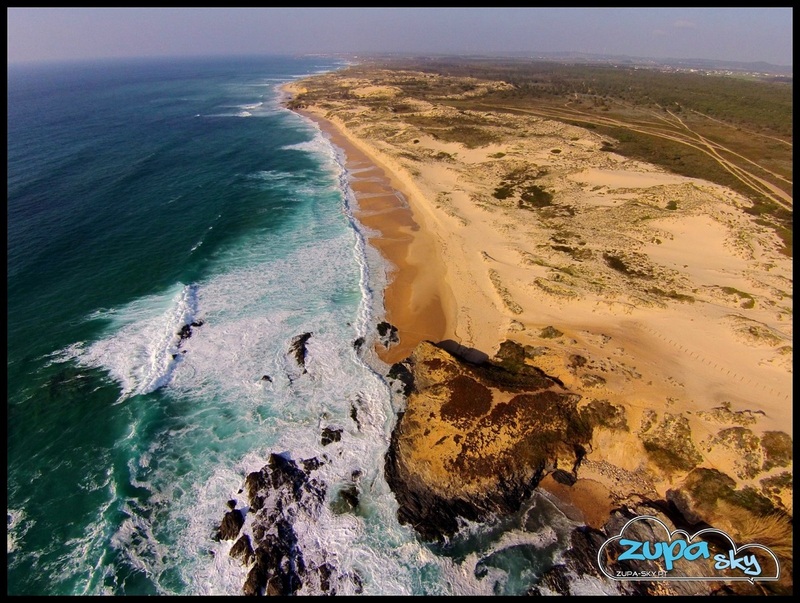 Furnas Beach Sea offers all the quality that is hallmark of the Alentejo coast beaches: an excellent beach of golden and thin sand and with excellent water quality. Both beaches are widely used for water sports such as canoeing or windsurfing. 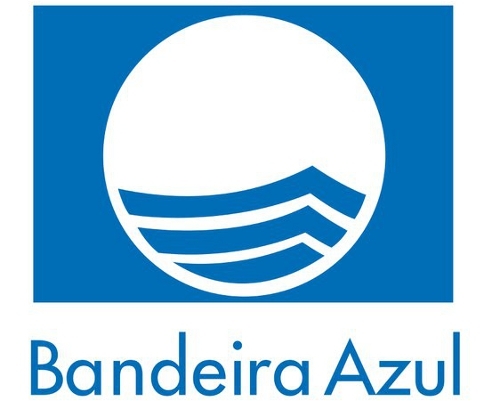 It is necessary to stress that Furnas Beach has received since 2008 awards such as “Blue Flag” and “Praia Dourada”, being also an “Accessible Beach”. This means that it offers good conditions for persons with reduced mobility to access the beach. At the height of the heat, the restaurant that is also the beach facilities proves to be a great resource, inviting you to have a relaxing lunch, where local delicacies should be the main protagonists. In September 2012, the Furnas Beach won his category (Beaches Rivers) in the election “7 Wonders – Beaches of Portugal”, making it a Wonder of Portugal. Another reason that justifies a visit to this nook blessed by nature.